Itho’s water boiling taps make kettles redundant since they are able to deliver boiling, hot and cold water from a single system. These taps are not only practical, but are energy efficient as well, helping households reduce utility bills. The Itho taps come in two user-friendly designs the Itho Dolce, which is the subject of this review, and the Itho Gusto. The Itho Dolce SS Boiling Water Tap System features a swan-shaped design, it’s equipped with a regular mixer tap as well as a push-and-turn knob for boiling water. The system also comes with a 5-litre water boiler that fits nicely under the kitchen sink. 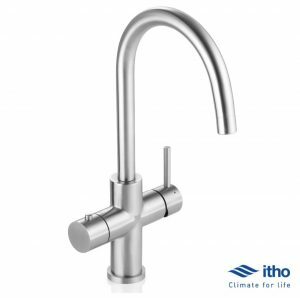 How to choose triflow kitchen taps? 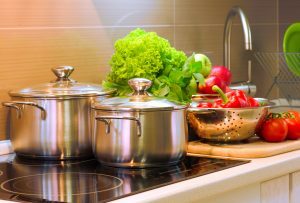 When people decide to install a water filter tap in their kitchen, they usually do it for any of the following reasons: to get pure drinking water straight from the tap, to use filtered water for cooking and making tea or coffee without having to worry about chemicals interfering with the taste of their favourite dishes or beverages. When it comes to triflow kitchen taps or 3-way taps, the possibilities are virtually endless. While you may be prompted to choose a triflow tap based solely on its finish and design, there are other aspects to consider as well. This article will give you some pointers on how to choose a triflow tap for your kitchen, and what are the things you should absolutely consider before purchasing a triflow tap. Automatic shut off valves (ASO) in reverse osmosis filters have the role of turning off water production whenever the reverse osmosis tank is full. When the pressure in the RO tank reaches 2/3 of the pressure of the incoming water, the automatic shut off valve shuts off the incoming water. If the ASO becomes faulty or no longer operates, water in the reverse osmosis system will continuously run to drain making the system less efficient. When this happens, it becomes necessary to replace the ASO in your reverse osmosis water filter. Water running to the drain may also be caused by other issues with your RO system. 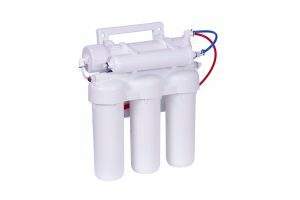 Our article on troubleshooting reverse osmosis water filter issues sheds light on other possible causes why water in your RO system keeps running to drain. 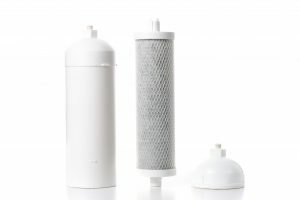 Carbon filters are primarily used to remove tastes and odours from water as well as chemical contaminants such as chlorine, VOCs, THMs, and more. Carbon filters are perfect whether you want to reduce chlorine levels in your municipal water supply, or you want to get rid of undesirable flavours in your private water well. 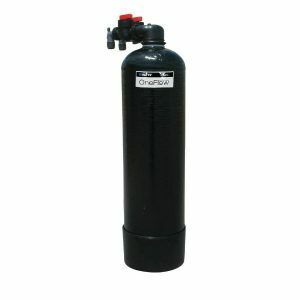 Granular activated carbon filters and carbon block filters are indispensable elements in whole house water filters and reverse osmosis systems. In order for your whole house water filter to perform without problems and deliver high flow rates and contaminant removal efficiency, its filter cartridges need to be replaced regularly. In this article, we’ll go into the details of how to replace a whole house carbon filter. Scale build-up problems caused by hard water are a widespread issue, and while a water softener system could help with hard water treatment and in eliminating problems caused by scale build-up, sometimes, installing a water softener is simply not a feasible option either because of the related costs or because of the maintenance-intensive nature of most water softeners. For situations like these, lime-scale water filters like the Pentek 2.5 x 10 Inch Scale Inhibiting Cartridge can offer the benefits of scale treatment, corrosion treatment and iron treatment in a single filter cartridge. 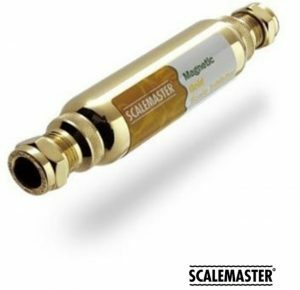 Scale inhibiting cartridges like this 2.5 x 10 Inch Pentek cartridge are a cost-effective and low-maintenance way of preventing scale build-up and protecting your appliances from clogging and breakdowns. Why does my tap water smell like bleach? Bad smelling tap water is a common occurrence in many households, and the causes for tap water acquiring different tastes or smells are numerous – chemical disinfectants used in the water treatment process, presence of different types of contaminants or faulty water pipes that lead to the seepage of different substances into your water supply, and even build-up of bacteria. But what causes tap water to smell like bleach? And how can you deal with this issue? If you notice that your tap water smells like bleach, it’s most probably caused by the presence of chlorine in your tap water. Chlorine, along with chloramine, are the most universally used chemicals for the disinfection of municipal water. While these substances are considered safe if present in water only in trace amounts, the same cannot be said about the effects of prolonged exposure to chlorine and chloramine. 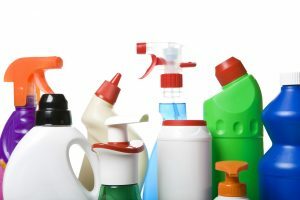 Therefore, while these chemicals are good at getting rid of certain pathogenic bacteria, they have some unwanted effects as well, including bad-smelling tap water. Finding a reliable water softening solution for keeping lime-scale deposits under check is a major concern in many households and businesses. Whether it’s the kitchen appliances that you seek to protect in your home or you want to prevent costly breakdowns caused by scale in your restaurant’s kitchen, the Watts OneFlow Scale Net Whole House Scale Control System is a convenient alternative to traditional water softening systems. 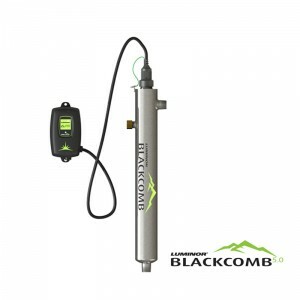 In this review, we’re going to highlight the advantages of the Watts OneFlow water conditioner as opposed to traditional water softeners, and explain how this scale control system prevents the formation and build-up of lime-scale. 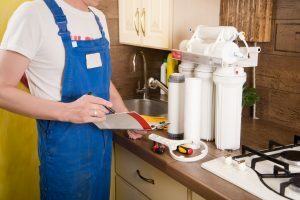 If you don’t want to call a plumber every time you need to replace the filters in your reverse osmosis system, you can quickly learn how to deal with filter replacement on your own. Reverse osmosis systems usually contain multiple filter cartridges depending on how many filtration stages it’s designed for. Different filter cartridges are replaced at different intervals, however, their replacement largely follows the same process regardless of the reverse osmosis model you have installed in your home. 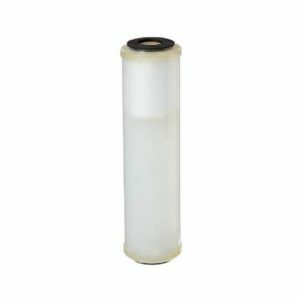 Before you undertake the task of changing your filters, read our instructions below on how to replace filter cartridges in a reverse osmosis system. We’re going to focus solely on the replacement process of complementary filters (activated carbon and sediment), since we’ve discussed reverse osmosis membrane replacement in a previous article. Reverse Osmosis Systems – How to buy the right one? When making any investment for your home, it’s good to have some insider knowledge, so you can choose the best product for your family. 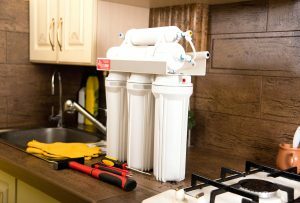 Choosing a reverse osmosis system requires some knowledge about how reverse osmosis water filters work, what are the advantages and disadvantages to consider and what system would be right for your home.